Here's another great look that can be found at Fig! 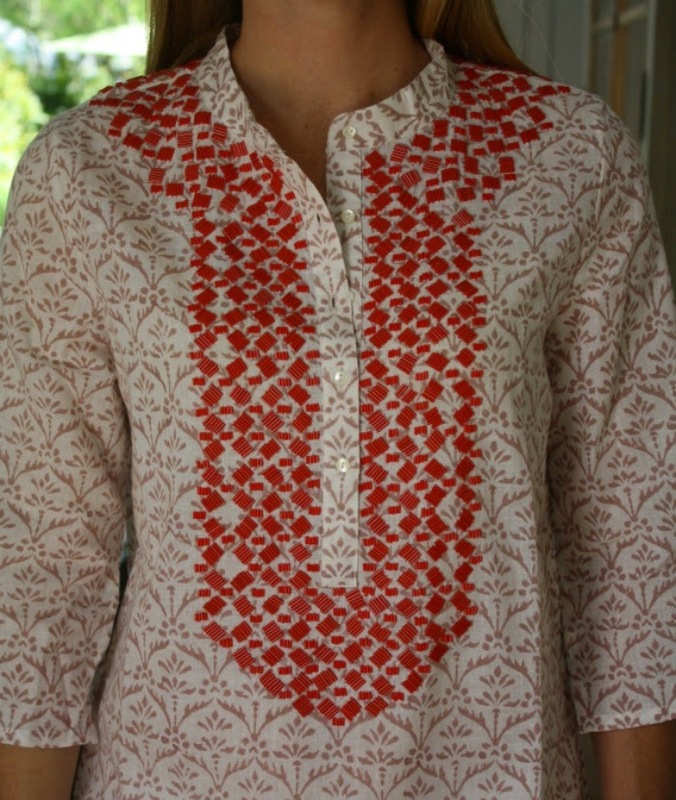 This is the Jasmine Tunic in Chocolate Trellis from Figue. I love this line that is new to Fig this season. The designer has an amazing resume that includes graduating from Parsons School of Design, interning at Yves St. Laurent in Paris, and seven years guiding design development at Tory Burch. It is obvious that so much knowledge and experience went into the development of Figue. 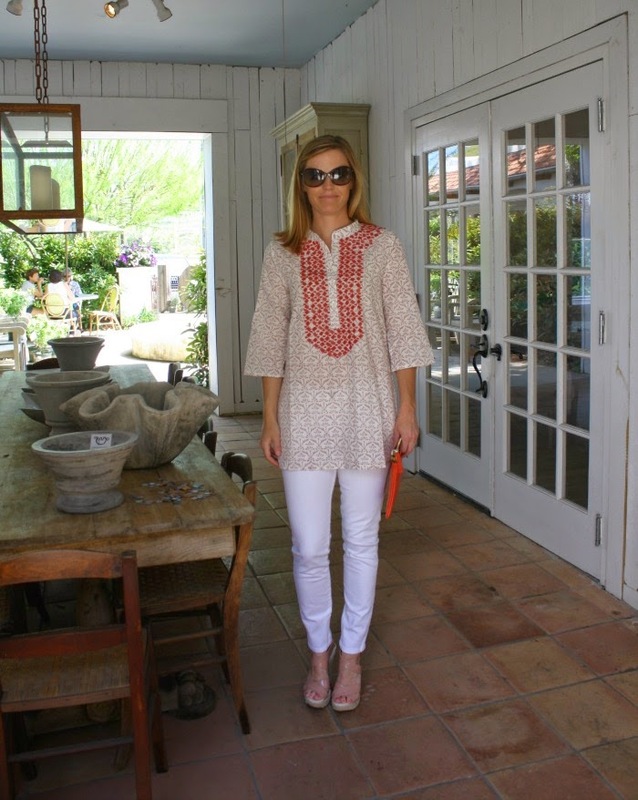 The fabric on this tunic was hand printed in India by artisans. 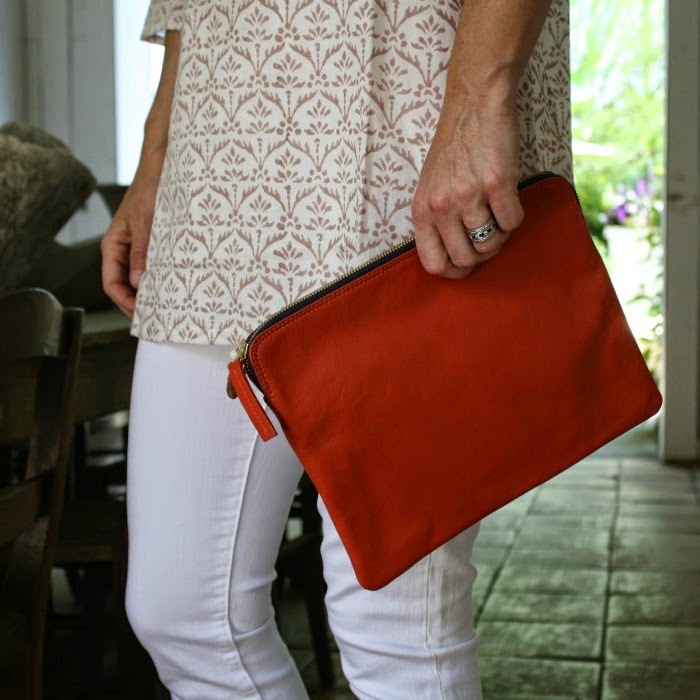 The Clare V. clutch is the perfect compliment to the tunic's red bugle beads. Not only are the Current Elliott jeans are a great staple, they are also the perfect length to show your summer sandal or wedge. We hope to see you at Fig this Thursday night from 4-7! Come sip bubbly and shop the beautiful new spring pieces at Fig. Thank you! And thanks for stopping by our blog :). I am obsessed with that clutch. This is totally gorgeous and simple look! I love everything about it!